Going into final two weeks of regular season: Camas takes on Skyview and then Union to close out the 4A Greater St. Helens League schedule. Camas needs to win both to finish back on top of the league after finishing second to Union last year. … Camas could also share the league title with a loss to Skyview, but then a win over Union. Needed that one: The Camas offense had an uncharacteristic outing back in Week 6 when the Papermakers went without an offensive touchdown in a 14-7 loss to Sumner. Granted, Sumner has a solid defense and is a known program around the state. Still, it was weird seeing Camas struggle on offense. If it was a funk, the Papermakers broke out of it in a big way against Battle Ground. Andrew Boyle threw for three touchdown passes and ran for another. Luc Sturbelle caught two TD passes and had more than 100 yards receiving. And running back Sebastian Harb had three touchdown runs. Call it momentum for the stretch run. That will not be simple, though. Yes, he’s still back: Jalynnee McGee returned to the Skyview lineup in Week 6 after missing three games. He had that 77-yard punt return for a touchdown against the top-ranked Union Titans. Then he had a 77-yard touchdown run against the Titans. Just like that, he made Skyview a threat again, a team with the capability of competing with the best. In Week 7, he had a near-perfect first quarter with two touchdown runs and a touchdown reception. He ended up with 150 yards rushing against Olympia. 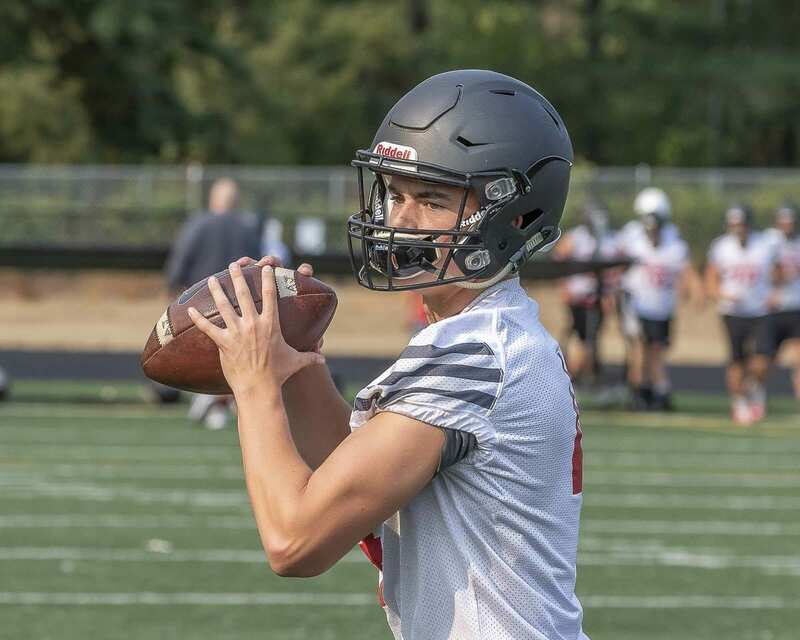 Going into final two weeks … : The top-ranked Class 4A team in Washington is trying to get healthy, stay undefeated, earn a league title, and prepare for the playoffs. The Titans cannot overlook Battle Ground in Week 8 just to focus on Camas in Week 9. Of course, Union is “expected” to beat Battle Ground, but the Tigers have been improving throughout the season. Still, all signs point to Union to be undefeated going into Week 9 and McKenzie Stadium will be the place to be for Camas-vs.-Union. QB update: Lincoln Victor, who was injured in Week 6 and did not play in Week 7, is questionable for Week 8. Or a bunch of other guys. The Titans played five quarterbacks last week. Yes, five. That’s the most Rosenbach has ever played in one game. Alishawuan Taylor, usually a wide receiver, got the start in place of Victor. He rushed for 60 yards on four carries plus completed two passes for 39 yards and a touchdown. Alexander Gehrmann threw for more than 100 yards. Thomas Dalgord, Jake Bowen, and Ryan Rosumny also played the position. Taylor and Dalgord are seniors. The other three are pretty much using their time on the field to audition for next season. Going into final two weeks …: The Tigers have found some success moving the ball against quality opponents in recent weeks and look to control the ball some more against top-ranked Union. The Week 8 contest is the final league game of the season for the Tigers. In theory, yes, the Tigers could still make the playoffs. It would take the biggest “upset” of the year, in terms of state rankings, plus some help for it to happen. But instead of dreaming about playoffs, the Tigers are looking to improve and then have fun playing a non-league game to conclude the regular season. Well done: The Tigers had a strong first half against Camas in Week 7. “I think the kids play can play with anybody if they put their minds to it,” Kesler said. “We don’t have depth likes Camas, Skyview, and Union. We tire. It affects us from time to time. But I’m proud of the way the kids battle and continue to battle. 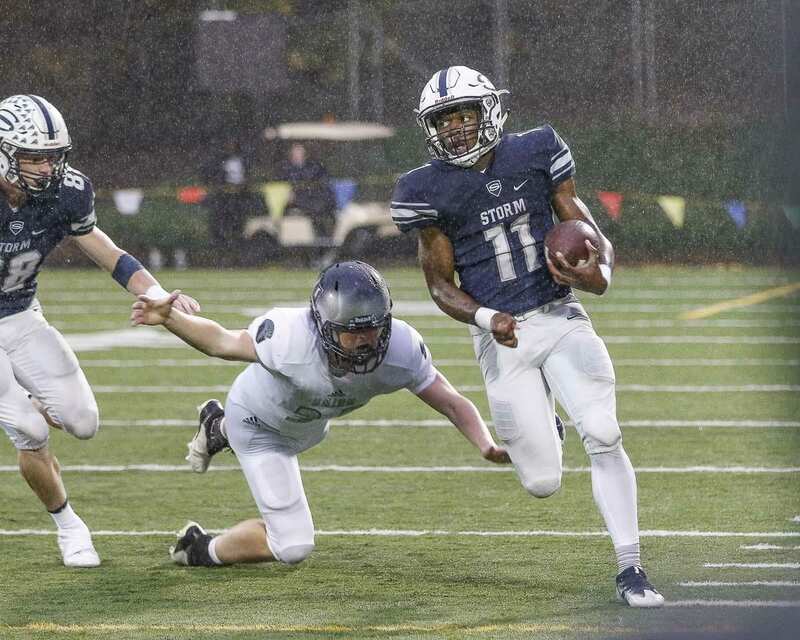 Going into final two weeks …: A non-league game against Emerald Ridge will give the Timberwolves an opportunity to experience victory again. No, not a guarantee. Just an opportunity. Injuries and the tough 4A GSHL season have made such opportunities hard to come by in recent weeks. Heritage will return to 4A GSHL play to end the season with a game against Skyview. That game will matter to Skyview, giving Heritage a chance to play spoiler. Much better than the score indicated: Heritage lost to top-ranked Union 34-0. Just looking at the final, one might think it was just an easy evening for the Titans. Nope. The Timberwolves played them tough. The Heritage defense forced a three-and-out on the first series of the game. The Timberwolves forced a turnover on the second series. It was this close to being a scoreless tie after the first quarter, but Heritage fumbled on its own 1-yard line, setting up an 1-yard scoring drive for Union. A few minutes later, Heritage a short field after its defense got another turnover. An interception in the end zone killed that scoring threat. It was that close to being a 7-7 game. Instead, Union went up 14-0. Even after that, Heritage came back strong with an 11-play drive. No points were scored, but the Timberwolves controlled the ball against one of the top defenses in the state. Halftime was 14-0. No, Heritage did not threaten to win. But the Timberwolves did show toughness.